Sitting at the heart of Downtown Orlando rests a park that features a glistening body of water as its focal point known as Lake Eola. 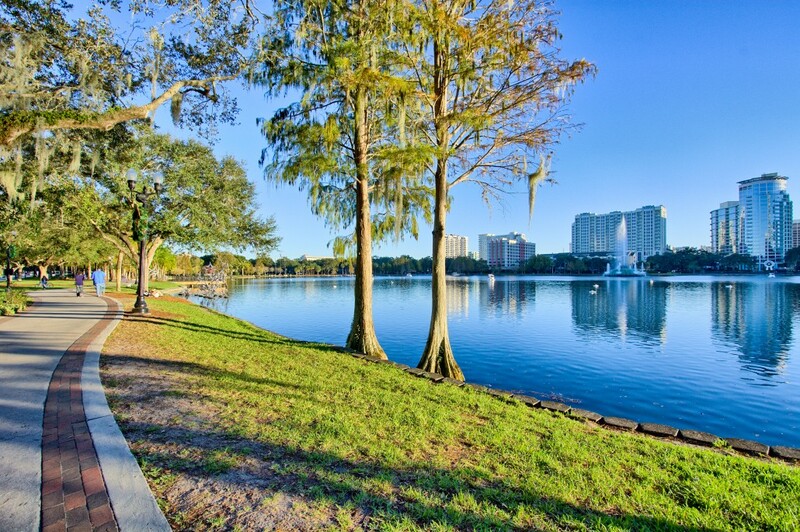 Together, these make up Lake Eola Park and encompass the area's history, amazing skyline views, and one of the most beloved perks for life and Real Estate in Orlando, Florida. If you're familiar with Orlando you may have heard of Jacob Summerlin, a wealthy cattle raiser whose financial backing helped Orlando grab the county seat. He also played a role in helping establish the beautiful Lake Eola Park by donating a strip of his land for public use. The lake was first formed on his property due to a sinkhole! Add in some natural elements already present, flooding of stormwater and boom - this popular lake was born! Additional unique park features include The Chinese Ting and the Linton E. Allen Memorial Fountain. The Chinese Ting was given to the City of Orlando as a gift by an influential man named Dr. Nelson Ying. 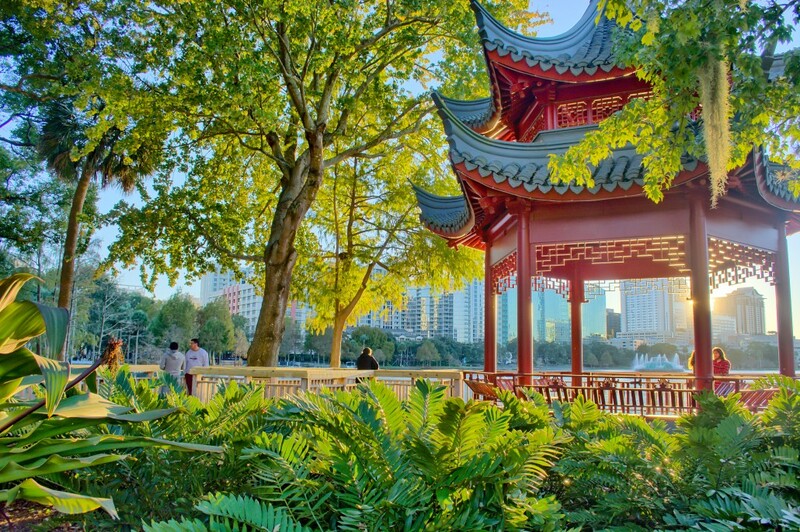 The distinct structure was built in China, disassembled for shipping purposes, and then put back together on the northeast corner of Lake Eola. Linton E. Allen Memorial Fountain was named after its founder and sits beautifully at the center of the lake. The fountain puts on a show during the early hours of the night each day. With colored lights, it makes for a gorgeous view for many residents throughout the area. 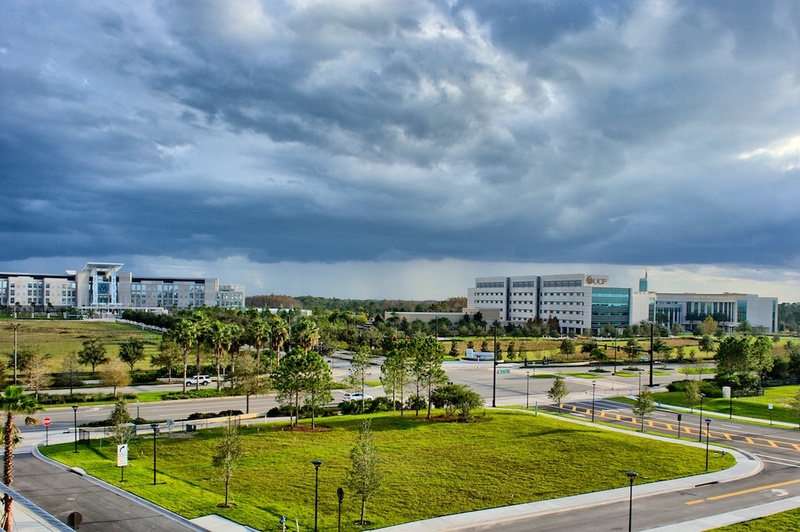 Today, this beautiful Orlando staple continues to bring much to the surrounding area. With a .9 mile sidewalk wrapping around it, runners and walkers can easily keep track of their distance. You can even take a ride on the water as swan-shaped paddle boats are available to rent! Whether you're in need of some fresh air or to burn a few extra calories, it's a popular spot for enjoying the outdoors. 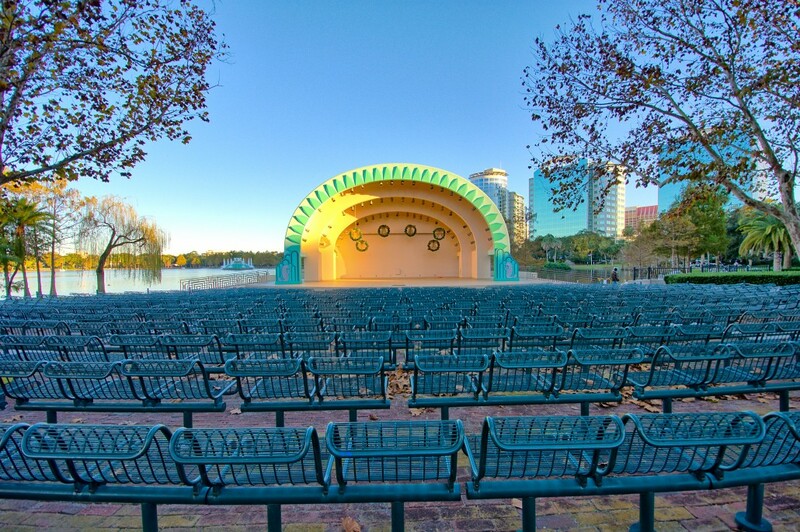 Lake Eola Park is a top choice for a variety of events as well. Enjoy special festivals and recreation events year-round, along with the popular Farmers Market and Yoga classes that are also held in the park. Other top events and activities include the massive 4th of July firework bash and the free movie screenings with the park's Movieola nights! The Walt Disney Amphitheater also hosts a variety of free concerts and plays! After visiting the park, grab a bite to eat as there are plenty of restaurants nearby no matter the craving! Some of our favorites include Relax Grill or World of Beer with their beautiful views of the lake. Once you arrive at Lake Eola Park, you'll notice a swan theme. From the swan-shaped paddle boats to the real swans gliding through the water, this characteristic is a signature feature for the park and has been for quite some time now. The swans first arrived in 1922 due to a nearby territorial conflict on another lake where two breeds were simply not getting along with one another. Over the years, the lake has become home to multiple swan species including Royal Mute Swans and Australian Black Swans. The swans are well cared for, as there are feeders throughout the area for them and each swan receives a check-up at the annual Swan Round-Up event! 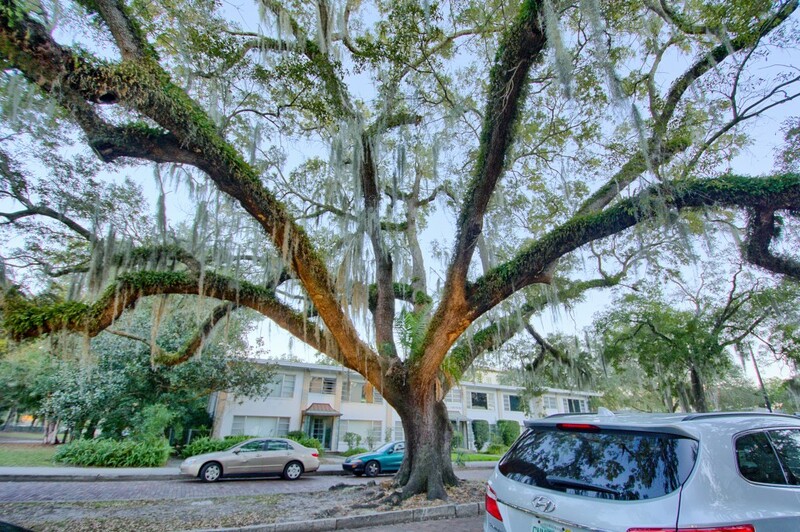 Take your pick from condos, historic bungalows, and so much more when it comes to Real Estate in Orlando nearby Lake Eola Park. Brick streets and canopy trees add so much more to this already beautiful area and make nearby homes for sale all that more desirable! If you're looking for the convenience of a park, an engaging community lifestyle, delicious eateries, and many other popular city amenities - this spot was made just for you! 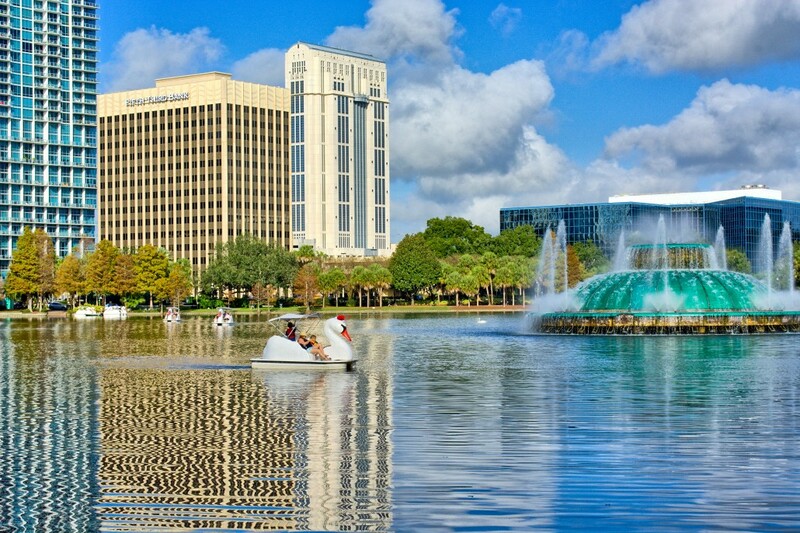 The atmosphere surrounding Lake Eola Park is truly special and helps makes Orlando a sought-after place to call home! Ready to find your own piece of Orlando? 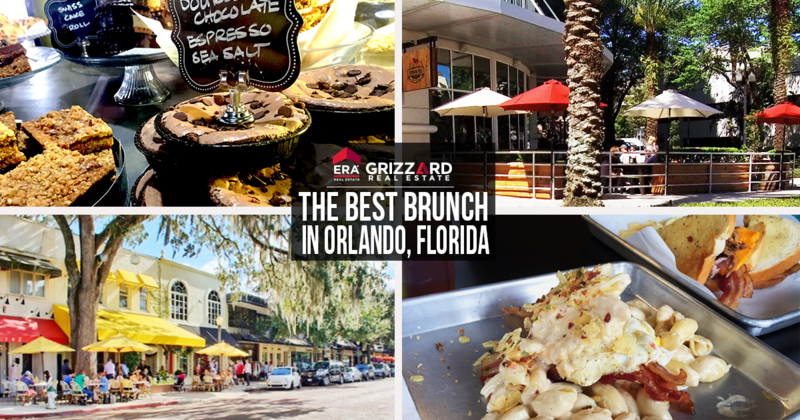 The Best Neighborhoods & Restaurants in Orlando, FL for Brunching!